detailed. Here, we have covered the details of Kerala High Court Assistant Syllabus for the help of capable applicants who want to make perfect preparation for this written test. Moreover, you may easily know what do prepare for the examination and even how to preparation for the written examination. If you are reading Kerala High Court assistant syllabus pdf & test pattern properly before written exam then you will able to make their place in Kerala High Court easily. Scroll down to know more details regarding this exam syllabus. Recently Kerala High Court had announced a recruitment and now organization ready to organize Assistant (Grade II) written exam to recruit capable applicants on offered position. After apply successfully all capable applicants are looking for perfect study material to make proper preparation. Capable candidates can easily download Assistant (Grade II) Exam Syllabus Pdf and Exam Pattern in online mode. It is important to check Kerala High Court Assistant Syllabus Pdf before appearing in this upcoming exam. If you will check latest syllabus every day before exam date, you can be prepare well for assistant (Grade II) exam in a short time. Therefore, read the detailed provided data and appear in written exam on due date to get success. Job seekers who want to obtain Kerala High Court Assistant Syllabus directly they will have to enter on official link which is available in the end of this article. Applied candidates are informed that they need to take part in written exam with proper preparation and call letter. All candidates who will able to qualify the examination they will be called for next round of selection process. Kerala High Court had updated assistant (Grade II) syllabus Pdf on their official site that is highcourtofkerala.nic.in. Please have a look at provided below info and make well preparation!! Written test for Confidential Assistant and Developer post will consist of Objective Test for 100 Marks that is to be answered in OMR Answer Sheet and Descriptive Test for 40 Marks to be written on separate answer sheets. The Objective Test will be of 75 minutes duration where as Descriptive Test with 30 minutes duration. On each correct answer 01 mark will be awarded. For every incorrect answer 1/3 mark will be deducted. The objective type question paper will be in four series (A, B, C and D). Medium of answering question is English. The minimum marks for being included in the Short List of candidates to be called for the interview will be 40% in the Objective Test. There will be no cut off mark for the Descriptive Test and interview is for 10 Marks. The minimum marks for being included in the ranked list will be 35% in the interview. Make good exam strategy and execute it according to time table. Please read mock test papers and get prepare from sample paper and take test yourself for analysis of your knowledge. Candidates should solve previous years question papers and to check they can avail the answer keys from the official website. Use short tricks to solve questions as it help you to maintain your speed. Prepare your own hand written notes and go through it every day. 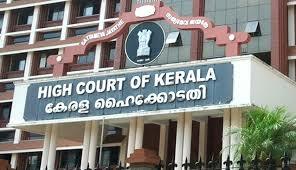 Note: You can check Official Link to get other info about Kerala High Court assistant syllabus.